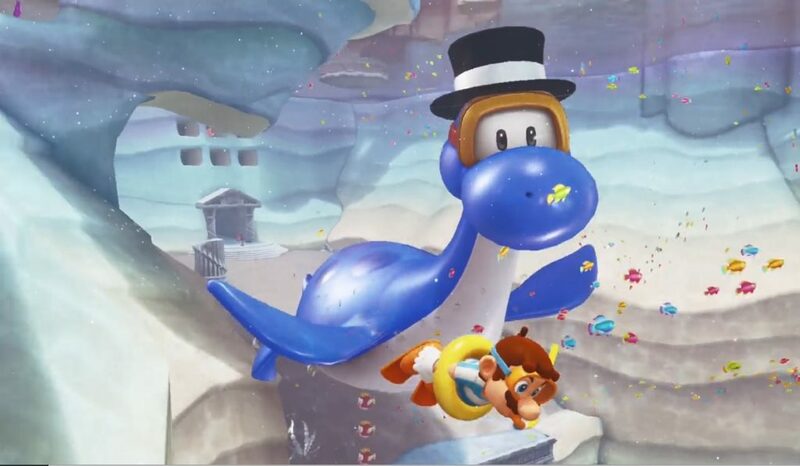 Over the last few months, there’s been a lot of footage for Super Mario Odyssey released. It’s been shown at E3 and Gamescom. It’s gotten live updates on social media for weeks. Hell, even the Nintendo World Championships featured it prominently this year! It must be one of Nintendo’s most heavily advertised games ever. It’s very Jurassic Park like, I’ll say that much. Eh, maybe it’s because the hats aren’t all they seem here. Indeed, look at the one top of this Banzai Bill a few seconds later. Doesn’t it look awfully familiar to you? Yep, it’s Bowser’s hat. The one he’s shown wearing in the intro cutscene on the airship. And that makes us wonder something. 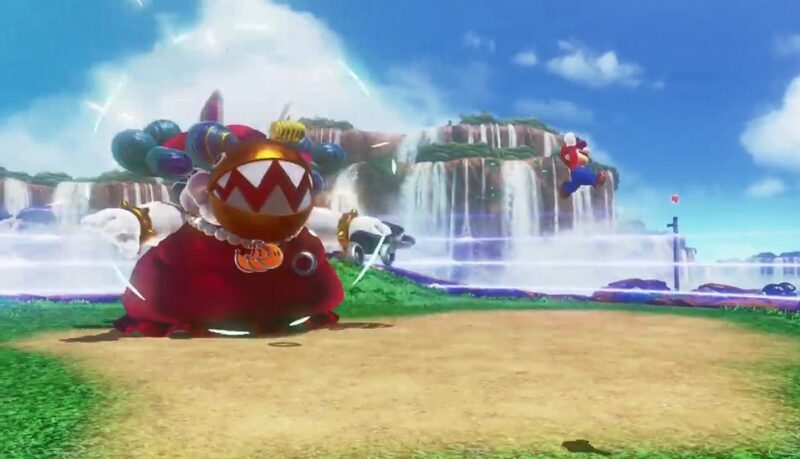 Is Bowser also possessing enemies to take down Mario, via his own version of Cappy? The cutscenes certainly support that interpretation, especially with how Bowser throws his hat in the intro. 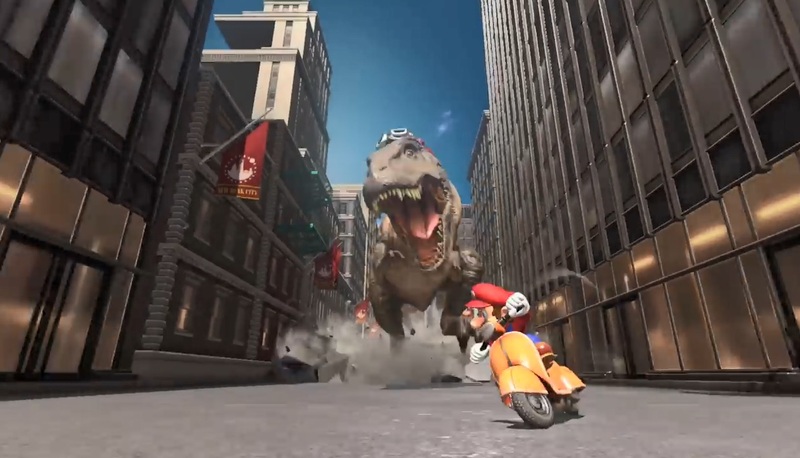 If true, it’d mean that this Banzai Bill chase (and perhaps the T Rex in the city) are actually Bowser trying to attack Mario, not random unlikely coincidences. Still, enough with the cap theories for a minute. What else does this video show us? Pretty useful to be honest. Especially if the designers were nice enough to place enemies on top of said blocks, just so they could be sent hurtling to their doom. It’s a neat way to fight a boss like this, and another example of a boss battle heavily built around the Capture mechanic. 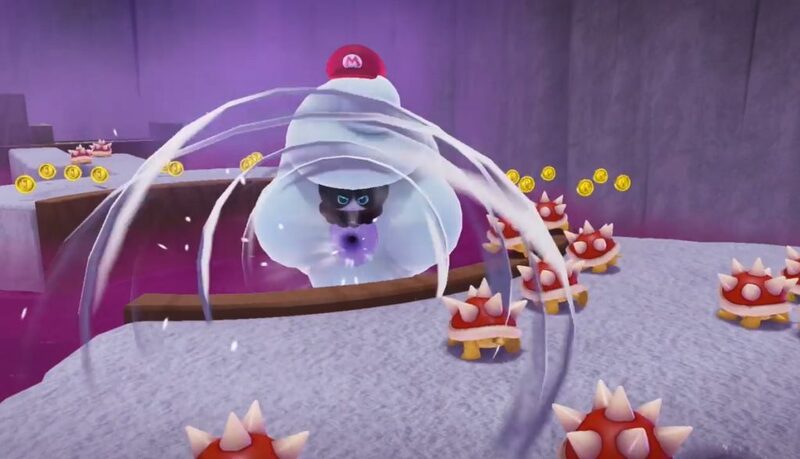 As well as perhaps Mario’s most nightmarish situation yet. Watch out Mario! 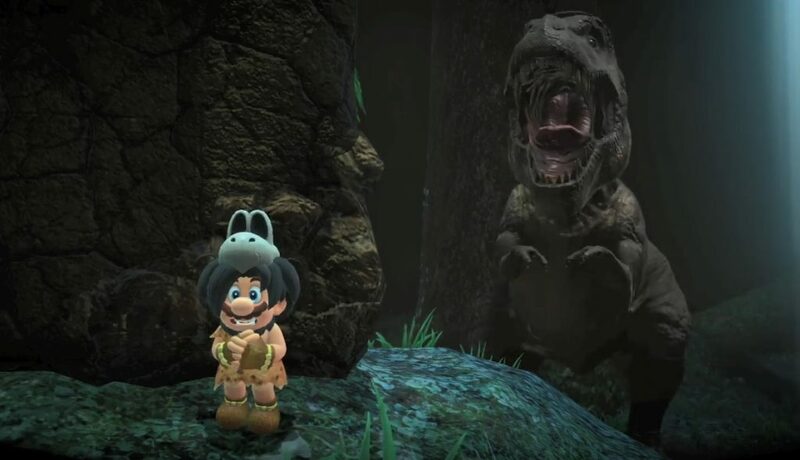 That T Rex is literally right behind you! 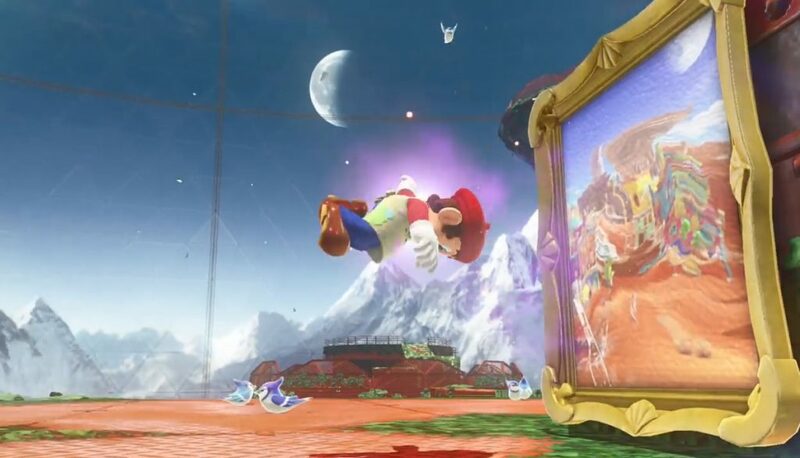 (though based on his expressions, it’s likely Mario has noticed how much he’s screwed here). 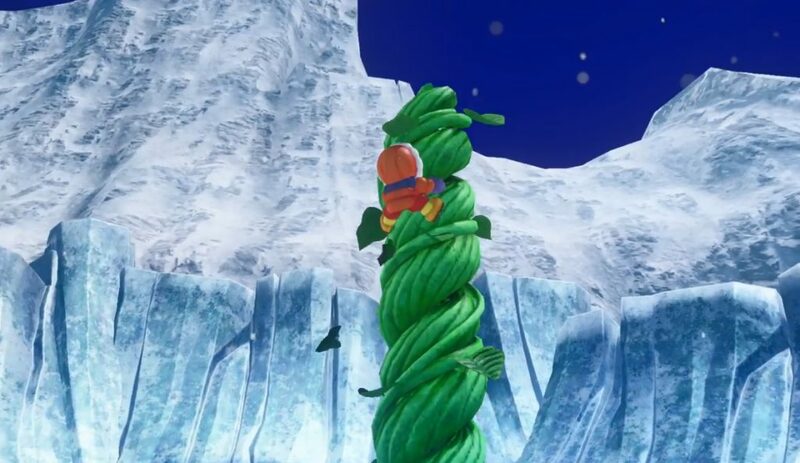 And even move Mario upwards automatically. 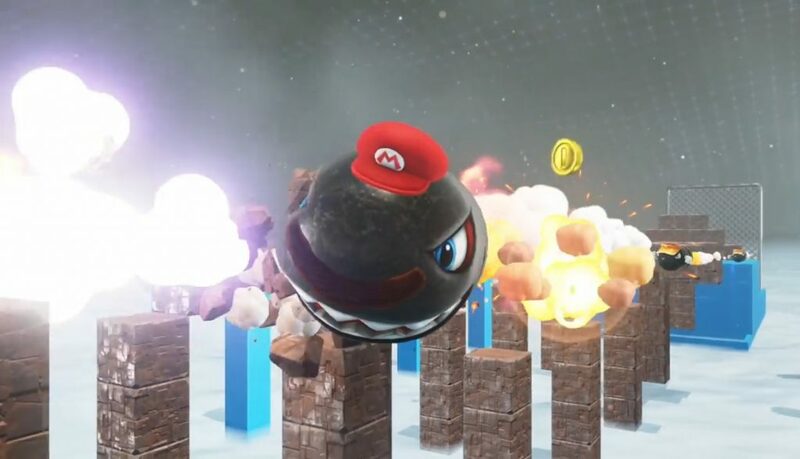 Neat, at least in the sense these things are much less common in 3D Mario titles. Cause it’s not just a theme/story thing. The paintings aren’t placed anywhere you’d expect them to be, they’re in the middle of the level in seemingly random places. That indicates their purpose is somehow tied to the Power Moons and story. So, what is the connection? Well, it’s a bit of a longshot, but I suspect the answer the answer is that certain missions scale multiple kingdoms. Like in Banjo-Tooie. As well at least one Tostarena inhabitant in the middle of New Donk City. So, it seems quite likely these paintings could be connected to this stuff, perhaps as a way to answer these characters’ problems. Either way, it’s a mystery that likely won’t be solved till the game comes out. 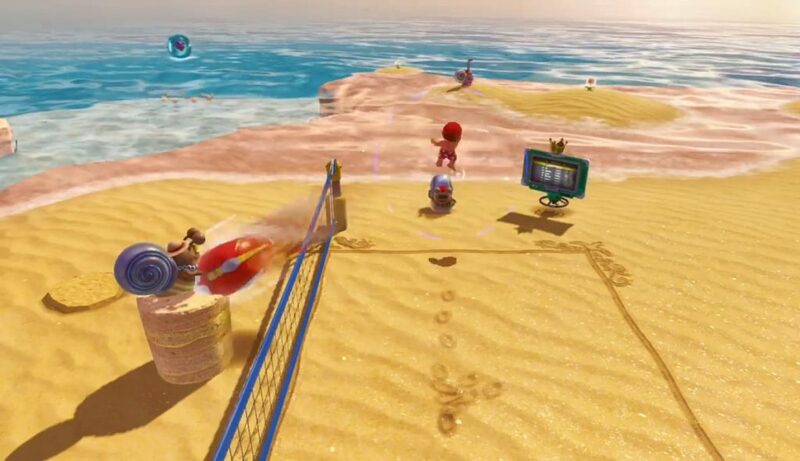 One thing that isn’t a mystery however is this volleyball mini game. 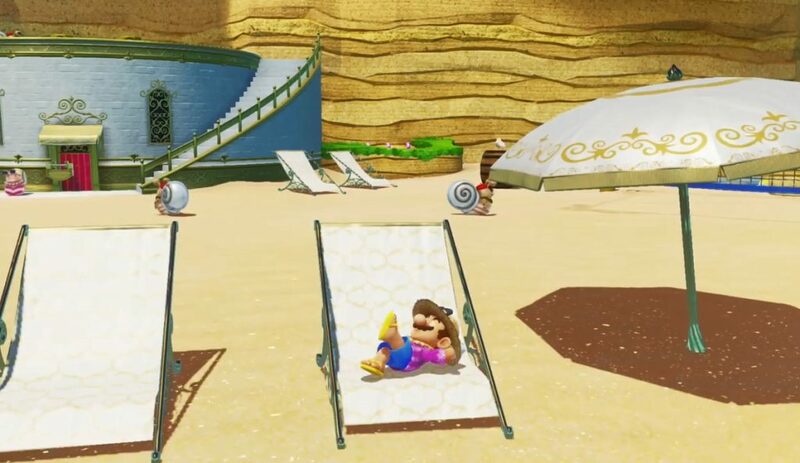 Set in the Seaside Kingdom and featuring the snail creatures from the area as other players, it’s yet another mini game you’re able to compete with players online in, as noted by the scoreboard to the top right. And while it’s nothing too special (for a mini game in a 3D platformer), it looks enjoyable enough to play none the less. 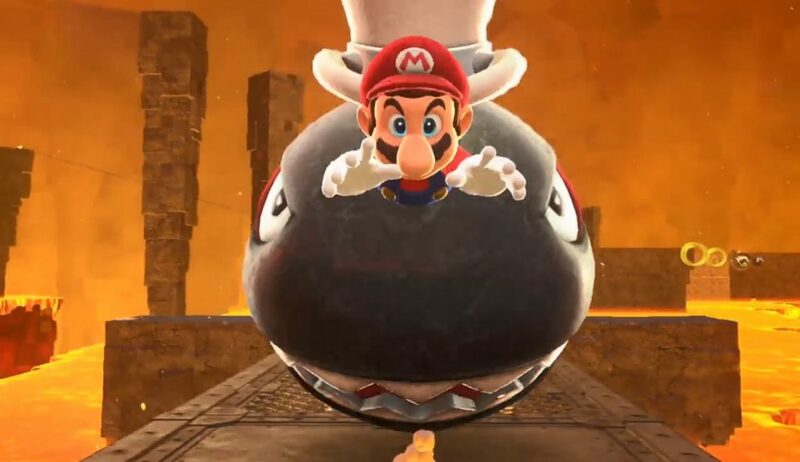 So yeah, that sums up everything in Super Mario Odyssey’s latest trailers. So, what do you think about it all? Are there any new additions there that make you want to play the game even more? How exactly do the paintings in the game work here? Post your thoughts on these topics (and more) at the Gaming Latest forums today!